EXCLUSIVE AT NET-A-PORTER.COM. 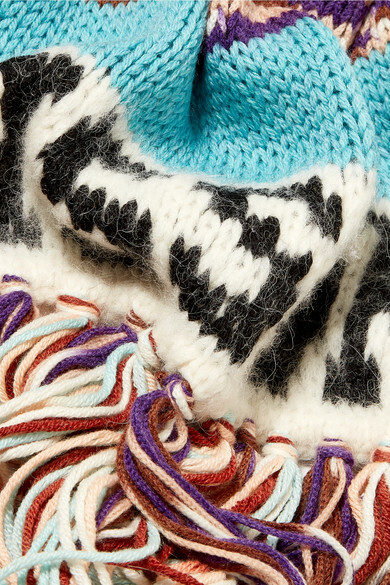 Missoni's scarf has been made in Italy from a soft wool-blend and woven with touches of alpaca and cashmere. It's knitted with a snowflake intarsia motif and trimmed with swishy fringe. The extra long length is perfect for looping around your neck multiple times on chilly days. Shown here with: Missoni Pants, Goldsign Top, Loewe Shoulder bag, Common Projects Sneakers, Alighieri Earrings.